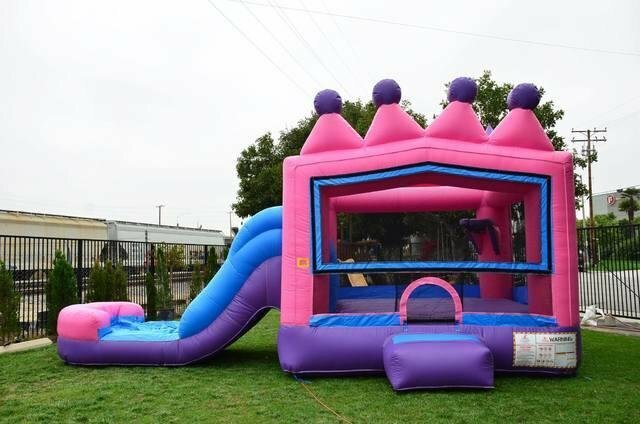 Princess Tiara (5 In 1) Athletic Wet Combo features big slide along with an inflated landing zone for dry use. The splash area has built in drains to keep the water level safe for all ages. 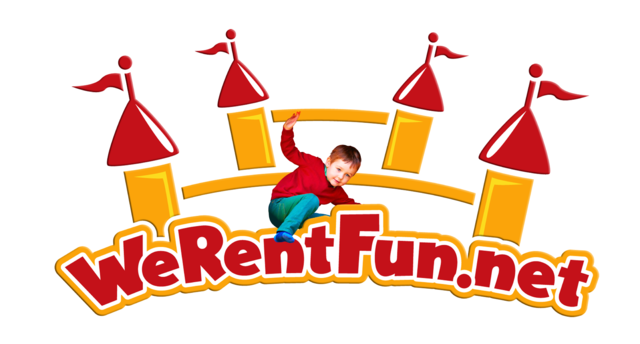 Convert to a wet bounce house slide by simply connecting any garden hose to the internal water bladder system. Measuring in at 24′ Long x 12.5′ wide x 15′ high overall. Commercial Safety Netting and Snap-Shut Door keep kids playing safely.